I made this in a couple of hours. Pico 8 is so much fun :) I hope you enjoy this simple game. Is anyone interested in adding sound & music? Made the X/Shout action clearer (I hope). 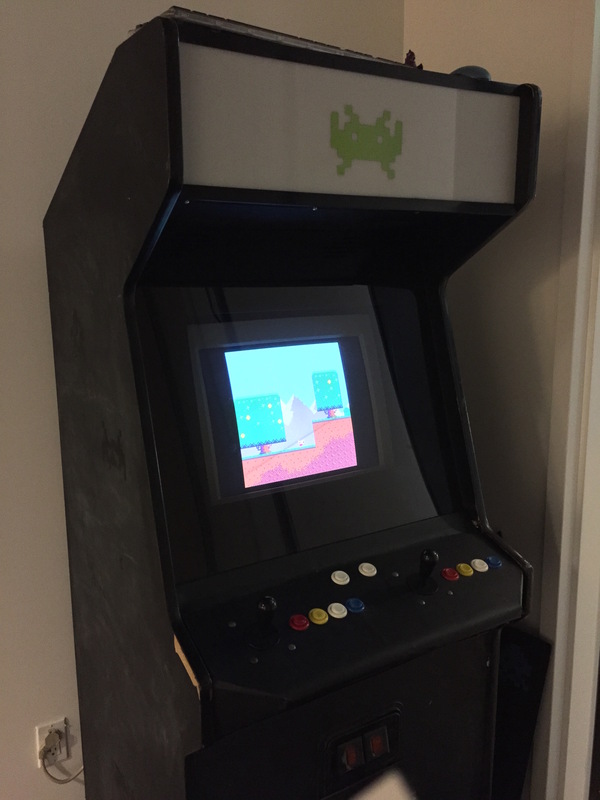 Here's a photo of PICO-8 running on my arcade cabinet. Jelpi (with 2nd player activated) is super fun to play on it. I re-mapped the cabinet's MAME-style inputs to what PICO-8 expects, including P1 START to Cmd-R to start/re-start the game, but I still have to manually type "LOAD JELPI" first. Is there a way to specify a cart to load via the command line? That would be ideal for the custom game picker/launcher that I have on the cabinet. This is a work in progress, but fully playable with 1 or 2 players. Inspired by Pac-Man, Forget-Me-Not, and friends. p.s. Use the arrow keys to move. p.p.s. When it says "Press A Key" you have to use Z or X.